Abstract: Nationalized packaging design is a combination of modeling antiques and folk natural material forms, and has the function of directly and indirectly displaying the cultural value of commodities. The formal characteristics of nationalized packaging are elaborated in six aspects, and the national cultural concept and national character are expressed in the creation of design activities, thereby enhancing the commercial value of the product. The development of packaging technology not only reflects the scientific and technological level of a country, but also reflects the progress of the nationâ€™s cultural spirit and material civilization. As a dual carrier of ideological culture and economic activities, nationalized packaging as a form of expression is not only an important means for obtaining economic benefits, but also a good design strategy for representing traditional commodities and local characteristics. From the perspective of the form of nationalized packaging, it strives to display the cultural characteristics of commodities with distinctive national image characteristics. Different commodities have different forms and characteristics, and the design of the packaging structure needs targeted design. Such as traditional products and modern products, food and cosmetics, women's products and men's products packaging modeling, they have a fundamental difference in the physical structure, this difference is reflected in people's habits of packaging modeling. For example, in the application of the national packaging design, some ancient cultural relics can be used for reference. In the process of their being transferred, they gradually became a material and typical example, which played a role in passing on certain cultural symbols. This is a transformation process of folk culture in design, which directly affects the aesthetic needs of people. For example, imitating the forms of bronze ware, earthenware, porcelain vases, terracotta warriors, and traditional parcels, as well as the structure of folk gourds, dragon lamps, sucking gongs, statues, barrels, etc., to design and produce wine containers and packaging images. Inheritance, but also contains a sense of national culture. Chinese traditional patterns have a long history and brilliant achievements. As early as thousands of years ago in the pottery of the Neolithic Age, the ancestors began to use patterns to decorate their lives and use decorative language to express their pursuit of beauty. It is a symbol of a specific concept meaning. It has a wide range of subjects, rich content, diverse forms, and long history. It is associated with the concept of the people and carries a certain meaning or connotation, reflecting the relationship between man and nature and society. , with emotion beyond the true meaning of the image of the emotional color. The traditional pattern is a kind of decoration technique commonly used in the packaging design. It mainly deals with the symbolic image processing of the needs of the packaging picture, and it plays a subtle and artistic effect in displaying the national style. Like the back grain, grain pattern, moire pattern, turtle pattern, Ji Xing Jin, Fang Huan, Kidnaped Dragon used as the packaging shading and border, and the original enamel pattern as a symbolic image application; bronze ware patterns and lacquer patterns of the Warring States period, Embroidered pattern decoration, jade; Chinese painting brick pattern and tile pattern, stone carving patterns of the Northern and Southern Dynasties (Flying, lotus); descendants of grass, flowers, Bao Xianghua; Song and Yuan ceramic decorative patterns; Ming cleaner, silk, lacquer, Cloisonne motifs, etc., are all typical patterns of ancient China. Folk art is an art that is produced and appreciated by the folk producers of all ethnic groups. Because they belong to the Chinese nation, they symbolize the yearning for and pursuit of a beautiful life in the form of expression, and are fixed as an auspicious deity that can bring good fortune to people. It is a native of China and has a strong local flavor. It is also closely related to folk activities. According to different activities, people make corresponding figures to set off the atmosphere, which makes it symbolic of Qifeng Nafu. Folk graphic is an image that is popular among the people and has potential laws and functional meanings. It makes people understand and understand with a strong symbolic atmosphere and a strong sense of life. For example, on the rhombus-shaped red paper, several bunches of golden yellow rice are painted and the words â€œFengziâ€ are used. This is a picture that expresses the joy of farmersâ€™ harvest. This kind of graphic created by using homophonic sounds, it is related to folk customs, myths and legends. There are profound connections, and there are various kinds of folk graphic decoration techniques, which pursue the complete, complete, symmetrical, and stable artistic effects of the picture, and are extremely decorative and symbolic, such as using bats to symbolize happiness and longevity, and using lotus and squid for comparisons and more. The commonly used graphics include dragons, phoenixes, unicorns, magpies, plums, four-season flowers, Pisces, Spring Festival couplets, window grilles, golden and full halls, Fu, Lu, Shou maps, Facebook, shadow puppets, and paper-cut arts. Chinese characters come from pictures. They are both words and symbols. They not only have narrative function but also have decorative effect. Such as the book, simple and elegant; Wei Shu, the font is simple, smooth and graceful; Li Li, a lively gesture, the overall unity of the font; cursive, character-rich, strokes rolling back. In application, as long as it is appropriate, it can highlight the added value of its product culture, and it can also play the artistic effect of icing on the cake. Such as the performance of wine and tea packaging, can be branded text into a pattern image. As long as it does not deviate from the Chinese character image orbit, it can well express the characteristics of commodities in terms of characters and characters, highlight the meaning of commodities, and have the characteristics of national culture. China is the worldâ€™s largest producer of sericulture, silk, and brocade. In the early days, silk fabrics were used as packaging materials in addition to clothing. For example, people use colored brocade to make bags, and they call it "Kam, used to decorate coins, sachets, arrows, and other items. Brocade boxes decorated with tapestry have a history of more than 2,000 years in our country." A packaging container combining wood and brocade, in ancient times, the brocade was mainly used to hold valuables and gifts, and â€œMaâ€ was used as a better textile material and was rammed into a large number of ropes for bundling. Traction, etc. These functions of Ma until modern times have also been widely used in various aspects of production and life. The use of cotton fabrics in packaging was slightly later than silk and hemp, and was only popularized during the Song and Yuan periods. Cotton fabrics were used for sewing fabrics by merchants as a clothing bag, especially for packing books. As a decorative technique in nationalized packaging design, silk string has more and more demonstrated its special features. It can be used as a handle to open bundles, and can also play a role in decorating and embellishing the colors of the screen. For example, use red, green, yellow, blue ribbon or string to bundle and wrap the tag. With ink, yellow, brown, dark red, white rope handle, decorative and set off the packaging structure. It can play a very good decorative effect in enriching the national image of goods and displaying the characteristics of national packaging. Natural materials refer to materials that are most commonly used, most commonly applied, inexpensive, and free from chemical pollution, and refer mainly to local natural materials (bamboo, wood, rattan). For example, in the lacquerware unearthed in the Han Tomb of Mawangdui in the Western Han Dynasty in China, most of the lacquer wares except for lacquer ware are wooden lacquerware and bamboo lacquerware. This shows that our ancestors had used bamboo materials to produce more upscale lacquerware packaging far from the time when Neolithic had no metal hydraulic tools. With the development of the society and the increasingly abundant market, popular bamboo and water packaging containers are gradually being widely used. The ordinary water tank made of wood and the exquisite wooden box are used to store artifacts, ginseng, and high-grade handicrafts: bamboo baskets and rattan baskets are used for the kimchi jars, jars, and porcelain outer packagings, and small bamboo sticks are used for preserved eggs, dried beans, etc. Local specialty products are made of various straws, baskets, baskets and baskets made of soft wheat straw, grass and branches, rattan, etc. As a part of the national culture, packaging will inevitably reflect the psychological characteristics of the nation. This cultural concept and national character will be reflected in the creation of design activities. 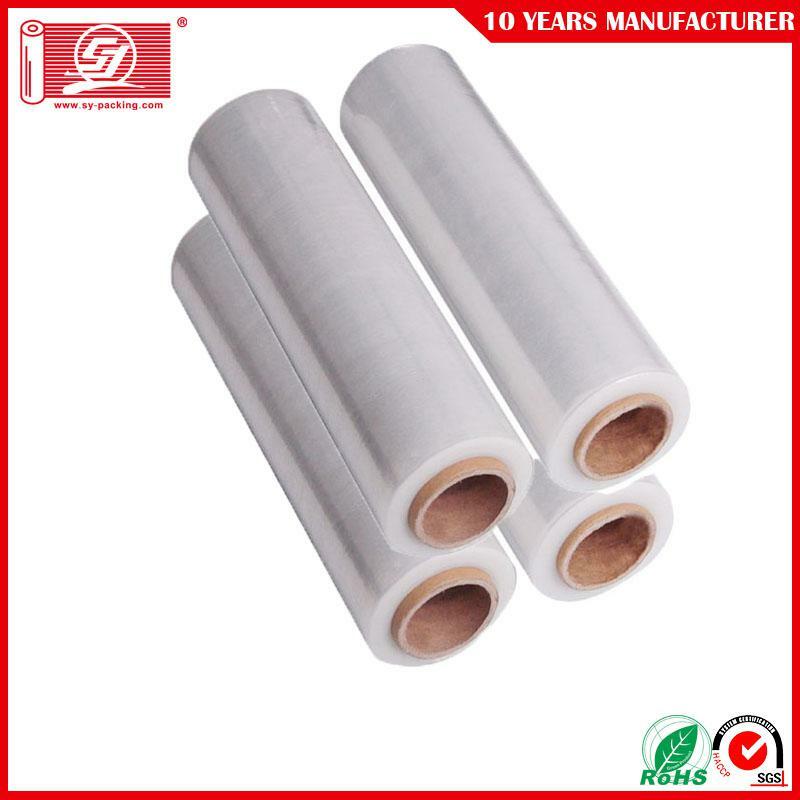 It is an important means for the communication of commodity culture, and it is also the development of China's packaging and decorating design. Indispensable important components. Self-adhering Machine Stretch Film is a cost-effective way to wrap pallet loads ensuring safe and secure shipment delivery. 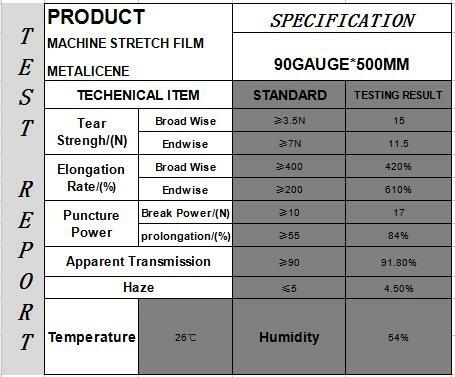 It protects shipments from water, dirt and damage caused by excessive movement. 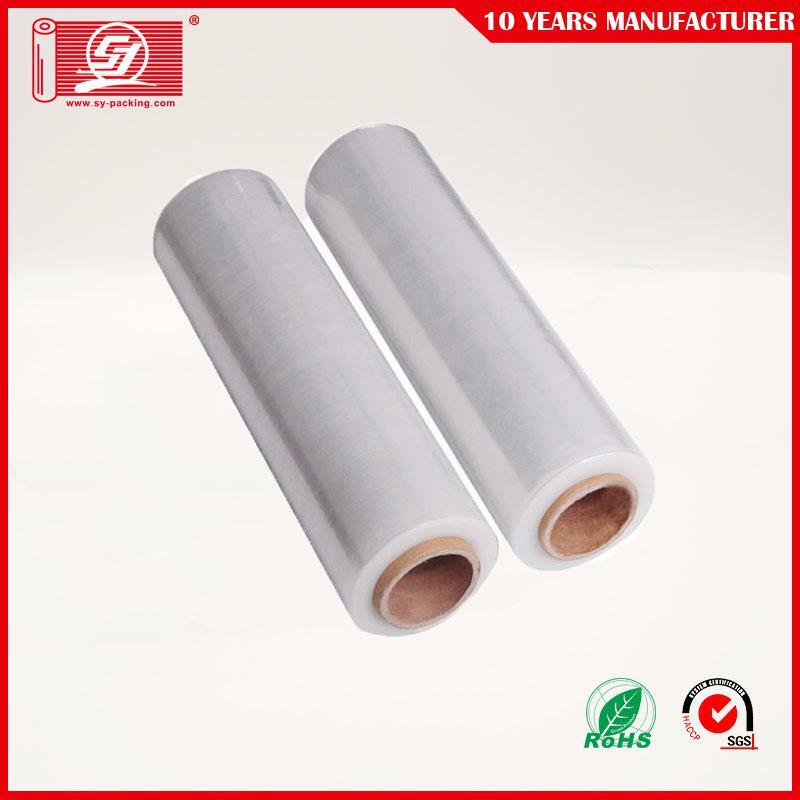 Stretch Film features ease of application, load-securing effectiveness, and reduced warehouse labor and banding equipment and materials cost. We offer everything from convenience and dispenser films to the industry`s most technologically advanced machine and specialty films. Contact us to get detailed information for your specific needs.